«Drive» is a professional driving school offering quality instruction. Driving license gives an unlimited freedom of movement, saves your time and gives you opportunity to enjoy life. Driving license makes your CV more competitive and broadens your employment prospects. 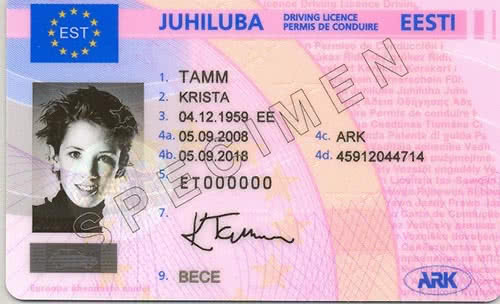 Driving license – is an official document that will be needed always. The main thing – the right approach to the choice of driving schools. After theory and practice tests you will become an owner of primary driver’s license (for 2 years). After 2 years it is necessary to pass additional driving lessons on the slippery road (winter driving). Passing the exam have to be Estonian citizen or to have constant or temporary residence permit. After obtaining the driver’s license it is valid for 10 years. Driving license of category “B” vehicles with the limited right of driving is valid until the individual is under 18 years old. Otherwise, is required to pass theory and driving tests in MNT.